Sun, sand and ocean – the ingredients for a top-notch holiday aren’t exactly a mystery… but have you ever thought of adding a rainforest to that recipe? We’re not talking trekking through the Amazon as you dodge anacondas and hack away at foliage with a machete – although that’s always an option, too! Our idea of a rainforest retreat is exploring stunning green surrounds and exotic animals, before returning to the hotel pool at the end of the day. Read on to discover some of our top destinations for a spot of tree-hugging! While Thailand is known for its palm tree-lined beaches, sparkling turquoise water, and sun that seems to perpetually shine, it’s lesser known for its forests. However, a sizable chunk of the ‘land of smiles’ is covered with forest! 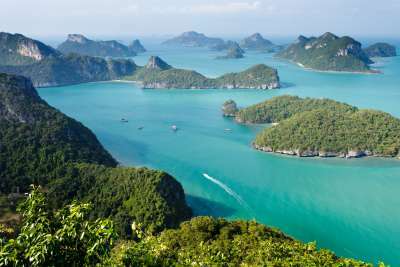 Break up your next beach holiday in Phuket with a visit to Khao Phra Taew, the island’s only remaining natural forest. Tigers, sun bears and elephants used to call the forest home, but you’re now more likely to see slow lorises, monkeys, and the occasional cobra. Half of Costa Rica is made up of rainforest, so no matter where you are in this beautiful slice of Central America, you’re never far from verdant green foliage and exotic wildlife. The rainforests of Costa Rica have a teeming ecosystem - they’re some of the most abundant in the world. Thanks to its position in the middle of North and South America, it has wildlife from both – and more than 10,000 species of plants and trees! 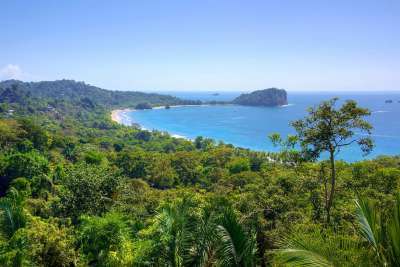 Head to Manuel Antonio National Park, which boasts beaches and forest – the best of both worlds! There are few places on earth that evoke relaxation and natural beauty in the way that Bali does. But did you know that it’s also home to an incredible spread of tropical rainforests, in addition to its picturesque beaches, rolling rice fields and charming villages? Give the beach a miss on your next Bali holiday, in favour of a villa set amongst the forests of areas like Ubud and the West Bali National Park – you can have your rainforest, and a poolside holiday, too! If you’re lucky, you might even catch a glimpse of a monkey! 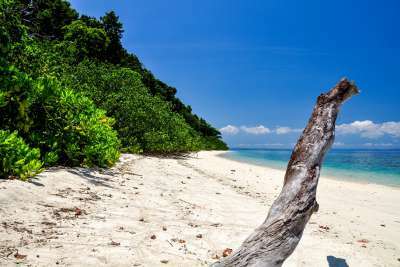 Combine your next tropical island holiday with a side trip into the depths of the jungle on the Andaman Islands. The islands, in India’s Bay of Bengal, offer powder-white-sand beaches and glittering turquoise water. They are also covered with pristine primeval jungle – the lush greenery supporting some of the world’s rarest bird species and several indigenous trees. Take a break from lying by the pool with a day-long stroll through the forest, and finish up with a dip at one of the nearby beaches. You may have heard of a little rainforest that goes by the name of the Amazon. 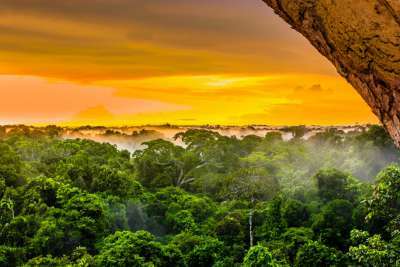 Sixty percent of this 55-million-year-old jungle is located within Brazil, and not only is it the biggest rainforest in the world, but it also contains the largest collection of animal and plant species. You could trek through the rainforest for days on end… but we’d much rather bliss out at a luxe rainforest lodge and take day trips into its heart! The forest is positively overflowing with incredible animals – jaguars, sloths and howler monkeys are just some of the wild things you might spot in this incredible location. 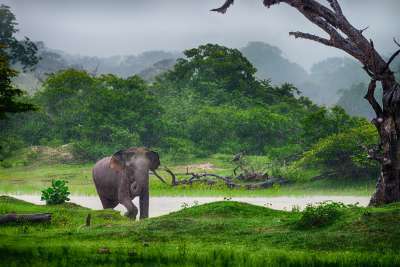 Sri Lanka is on the rise as a holiday destination, thanks to the end of a decades-long civil war. With more than its fair share of powdery beaches, famous tea plantations and historic architecture, it has your island holiday sorted. What it also has is a UNESCO World Heritage-listed rainforest, the Sinharaja Forest Reserve. Take a break from the beach to visit this treasure trove of foliage – if you’re lucky, you’ll catch a glimpse of an elephant or leopard – or, more likely, the colourful array of birds that are endemic to the forest. While Tobago boasts what any good Caribbean island does – gleaming blue water, stretches of palm tree-lined sand, and plenty of rum, it also has a little something extra. 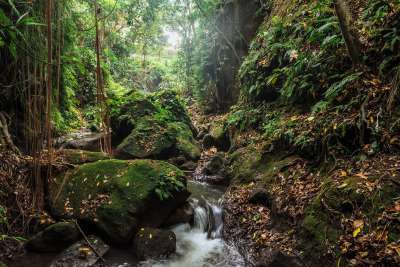 The Tobago Rainforest Reserve is the oldest protected rainforest in the western hemisphere – and also one of the most easily accessible for visitors. The forest has been so well protected that it is almost exactly the same as it was thousands of years ago – and it stays that way by ensuring each visitor is taken through the forest by authorised guides. The clincher? Tobago is so small that it’s never far to drive to the forest from your hotel! The rainforest meets the sea in Far North Queensland, Australia. 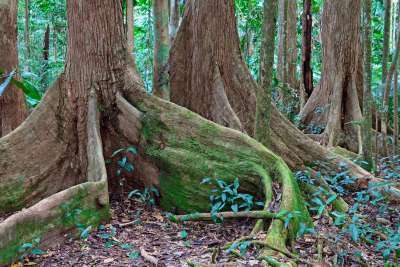 The Daintree is the oldest rainforest in the world, making it even more of a must-visit. Though it’s dangerous to swim at the beach during summer (those pesky stingers might get you! ), it’s still warm enough to hit the beach during winter. Afterwards, make your way into the rainforest to see ancient ferns, more primitive plants than anywhere else on earth, and the endangered cassowary – a giant flightless bird. Fancy visiting the smallest nation in mainland Africa? The Gambia is a little slice of land beside the Atlantic coastline. Known for its excellent beachside holidays, its surprisingly varied landscapes are best shown off in the 1000-hectare Makasutu Culture Forest. 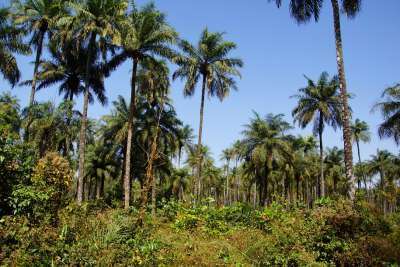 A microcosm of The Gambia, it contains palm groves, wetlands, mangroves and savannah plains, and you might just spot a baboon or a giant monitor lizard! This Caribbean island is Jamaican us crazy for its forests: the Blue and John Crow Mountains, and Cockpit Country. 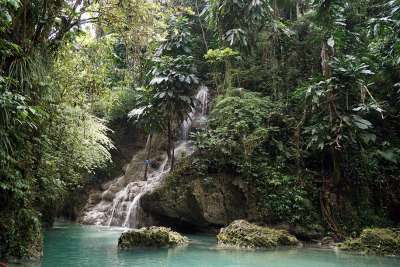 These leafy areas sit on either end of the island, meaning that no matter what beach you're lying on in Jamaica, you'll never be far from a neotropical forest to discover. 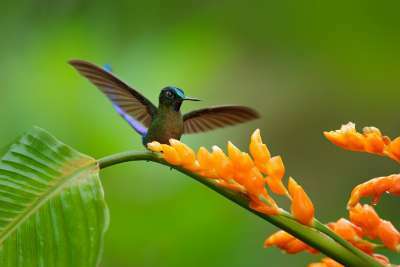 The Blue and John Crow Mountains National Park is home to the giant swallowtail butterfly - the largest butterfly in the southern hemisphere - as well as the Jamaican boa. Cockpit Country is World Heritage-listed, accessed by two colonial-era trails, Troy Trail and Quick Step Trail, and a bird-watcher's dream, with 64 birds native to Jamaica calling the forest home.